How would you survive and facilitate your business without engaging with the e-market platform correctly? For attaining a comprehensive success in the online business realm, you also need to be aware of the marketing terms to maintain a smooth communication flow. Ignorance of such marketing terms makes you fall behind and lets the competitors seize the prize. If you are not well informed regarding the terms of marketing, then the rivals are sure to catch up. That is all because of the communication flow. Being familiar with the terms is vital for decent propagation of the business. 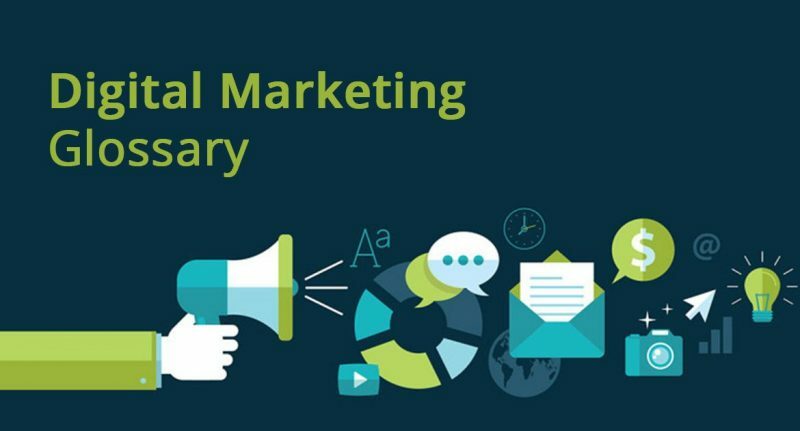 Hence, acquaint yourself with the significant marketing vocabulary that we present in this glossary-themed article. The business realm encompasses several terms which fall under daily communication. Be it with clients or a business partner who you teamed up with, such acronyms and terms come under daily discourse. So, brush up on your digital marketing vocab and excel at professionalism! We have segmented the various terms into three major categories for your convenience and ease of understanding. 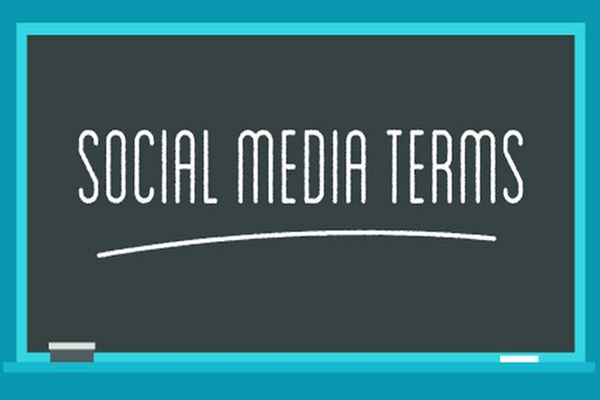 Under social media marketing, there exist certain terms that most have heard but aren’t familiar with the meaning. So, have a thorough read to know them all. Key Performance Indicators surface in multiple kinds of marketing. Also, several businesses employ them to analyze the success of their operations. Your KPI or Key Performance Indicator can be analytic of any kind, be it a click-through rate, bounce rate or engagement rate. An effective metric, Cost Per Acquisition is employed to determine and manage the costs incurred to acquire a single customer. You can proceed to determine it by dividing the net cost of your operation by the conversion number. This metric is significant since it actually presents you with the statistics of your expenditure per conversion. In case the cost incurred is high, you must think about reworking the marketing operation or campaign. Such audiences are developed with the assistance of email lists. Now, this is a procedure to target customers who are similar to those that already exist in your hand. If you upload the email list that you have to your social media ad campaign, the platform detects the emails and suggests similar users or potential customers to target. Also, you can easily exclude and eliminate the emails while uploading, in case you do not desire to fetch those customers. This is the factor that determines the appearance frequency of your advertisement on a website irrespective of whether the users notice or interact with it. However, this is somewhat similar to the marketing terms Reach. But, the Reach actually determines the number of users that view your content. And their impressions lead to determine the frequency of your content or advertisement being displayed. However, Impressions build and develop the brand identity while Reach assists you in developing the brand that you own. At the time of processing any advertisement, it is a common and strong suggestion to split test. Now, this indicates that you possess a little bit more than a couple of similar advertisements, all of which are presently running at the same time to determine which works the best. You can process or run the very image and then switch up and turnabout the copy or vice versa. A/B split test assists you in improving the targeting of your audience by presenting you the advertisements which gained popularity. That is the ads which people admired more. After you are done with the split test, you see an ad which works impressively and assists you in obtaining those potential customers. This is considered as inbound marketing’s ‘eyes’. It is the discovery as well as the communication of relevant guides in data. 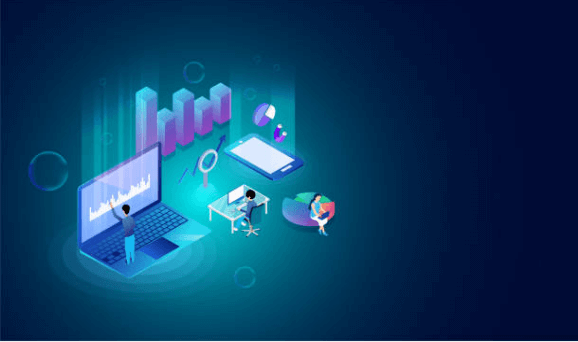 In the context of marketing, when analytics is referred to, it’s observing one’s initiatives’ data along with analyzing the trends as well as developing insights in order to make highly informed marketing judgments. Blogging is short for the term weblog. A group of individuals or individuals alone maintain a blog. However, a personal blog belonging to a single entity or a business blog conventionally encompasses regular records of commentary, event descriptions, etc. As inbound marketing’s core element, blogging accomplishes multiple initiatives such as website traffic development, lead generation, and thought leadership simultaneously. This particular subhead includes three terms that are complementary to each other. Lead generation is the process in which your business generates and produces leads. It also emphasizes the process by which you grab your customers’ attention. A lead magnet is defined as a small giveaway, guide or free ebook which your company grants the potential customers in return for their email addresses. Such incentives that the lead magnet tool offers, help in attaining more customers thereby improving and developing the business sales. And once a potential lead transforms, you must nourish and nurture them until they turn into a customer. Businesses tend to nurture their leads via their sales funnel. And the nurturing of leads exist in the order of sending emails and re-targeting them online on social media platforms. 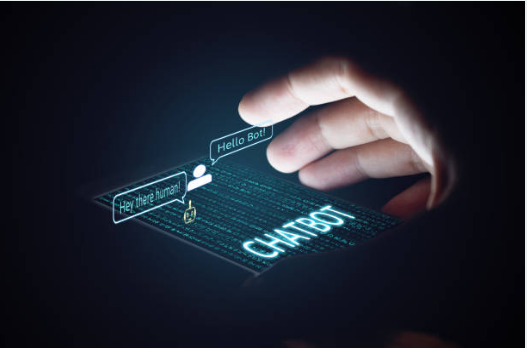 While airing a social media advertisement operation or campaign, the click-through rate displays the frequency of an ad being clicked on by several users. In case you desire to calculate and determine your CTR or click-through rate, consider the net clicks that your advertisement gained. Then, divide it by the Impressions, that is, the frequency at which it was displayed. After that, take out the percentage. The social media posts, including photo updates and other posts, have engagements rates. And this is the statistics which show the interacting frequency with your brand. The comments that you receive on posts along with the number of shares, everything matters. The higher the rate of engagement, the better your content is. This eventually helps in Search Engine Optimization. If Google-alike engines notice that the users actively interact with a website and their social media channels, they mark you as a significant source within your industry. You probably have noticed remarketing every day. During online shopping, if you check, say a pair of shoes, then you will notice that the same pair is displayed to you but this time on a separate website. This is a strategy which is employed to fetch buyers who didn’t process a purchase on the former website. If your company’s sale of a product is more than one, then you can establish carousel advertisements to display on separate sites along with social media platforms. Such ads consist of multiple products that the customers or buyers have already checked. Now, since they have already opened the pages to properly view those products, they are sure to analyze the same on other websites. At the time of running operations or campaigns on social media, you tend to get a score of relevancy for your copy as well as creativity in your advertisements. Each of your advertisements receives this score by the social media channel. Basically, it is their method to determine the relevancy of your advertisement along with the way it keeps up with similar ads. Essentially, Google functions the same way for paid search advertisements by presenting you a quality score. Several factors enter into your score which you can develop over time. Now, time for the real question. Why must one care about the score of relevancy or quality score at all? Actually, the better your score, the more your advertisements will be displayed over your competitors and also the lesser will be the cost for it. However, a proper score reduces your Cost Per Click. Lowering the CPC is essential since not all clicks will be a guaranteed conversion. A CTA or Call To Action is generally a button that is pressed to fetch the attention of your customers in order to make them click, give their email addresses, purchase, and other such actions. Social media ads and email campaigns on the site can incorporate a Call To Action. The CTA must be bold, big and should possess the ability to attract the attention of your customers. Maintaining conciseness with a touch of delight makes an effective CTA. Guide the visitors in a way that they know the actions that you expect them to take. Be it giving away their email, shop a sale or sorting through the latest products. A buyer persona is a design that your team creates to present a clear picture of the users you wish to target. Fetching relevant customers guarantees growth in the long run as they tend to maintain consistency. While targeting all kinds of customers may fetch profit, but it is true only for a short time. However, forming a buyer persona includes demographics such as age, interests, and gender. The research must be authentic since this is what your conversions depend on. Firstly, you must conduct a study of your market that you desire to target. This makes you form a proper picture of your customers’ purchase motivations, goals, and behaviours. As a result, you know their move and present them what they want. The buyer persona includes the buyer’s vocation, job profile, background, interests, and the challenges the buyer faces. Also, you can add their objectives as well as their fear to narrow it down. Such a plan lets you become aware of the solutions that you will require to capture a similar type of audience. A snippet code, the pixel is incorporated onto your website in order to track. This can accumulate data as well as analytics on your customers’ movements throughout your website. Also, you can employ pixels to retarget buyers with social media channels. Since the pixel on your website is engaged in trailing every customer who visits, you can employ this data in order to target them in future social media ads. However, your pixel may appear as a bunch of indecipherable symbols if you are not acquainted with HTML. But, all you require to do is copy and paste in appropriate locations on your website. Search Engine Optimization is an organic way to elevate your website’s rank in search results. SEO has multiple functions like choosing target keywords using which your business raises its rank. Other significant parts include optimization of the web pages with the selected keywords. Blog writing as well as acquiring backlinks are also important functions. 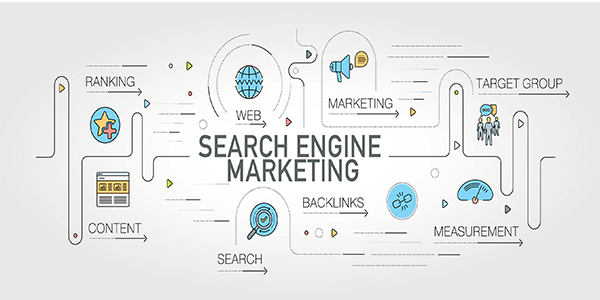 The strategy of search engine marketing demands time that the engines require to crawl your website to detect any alterations that you make. But, if you desire to rank high quicker, you must pay the price or else there is no shortcut. Pay Per Click bears similarities with Search Engine Optimization. But, they are generally paid advertisements which air on Google. Pay Per Click is instant. You can start ranking immediately as soon as you establish your ad campaign. The will to spend the budget you plan takes you to the apex of search results in a blink. Keyword research is included in PPC but in place of on-page optimization, the creation of ads is what is necessary. Advertisements include a couple of brief headlines, a link to your landing page and description. Also, you can insert extensions such as your business contact numbers or even links to additional pages that are present on your website. Individually, SEO, as well as PPC, perform great. But when combined, they can take your business places! The greater your DA or Domain Authority, the stronger your site and better your chances of ranking high. While executing keyword research, the Domain Authority is a metric which assists you in determining whether you will succeed in competing with towering companies or not. You must be aware of the fact that each of your website’s page bears a rank along with the entire website as a whole. It is necessary to ensure the equal deployment of Page Authority throughout the website. In case a single page ranks the topmost in the search results and also bears a PA of 100, doesn’t mean that your remaining pages will. So, the more pages on your website bear high Page Authorities, the greater the chances of their high rankings. This eventually means that your business possesses a stronger chance of appearing at the top in search results. In terms of search engine marketing, a bounce rate is when a visitor accesses your website but only views a single page. You will receive the stats of your website’s bounce rate by Google Analytics. You must make certain amendments and adjustments in case the rate is high. This indicates that the more pages your user checks and views, the greater the chances of your website to elevate its rank in the results. Thus, the user engagement with your website matters. We’ve got some more terms to acquaint you with! But, this time, let us emphasize the ones that belong to email marketing. For automation, list segmentation of your emails works wonders. Break up your list and categorize by location, industry, new as well as returning customers. You can extend the list by inserting various other categories. The list can be employed in order to build automation. In email marketing, the bounce rate is the email percentage that remains undelivered. In case your bounce rate is very high, the issues may lie in the domain or emails that you are delivering from. Hence, inspect the bounce rate every time you send emails. However, let us further discuss the bounce rate kinds. Emails which remain undelivered are hard bounces. Two significant reasons exist for this. You may receive wrong emails so ensure to check if they blocked you or not. Either that or you can inspect to check if the addresses are correct. Hence, it is necessary to form your email list in an organic manner. This signifies that you have accumulated emails from authentic users and have their absolute permission to deliver them emails. Hence, buying email lists hurts your business in the long run. This is slightly different than the previous alternative. It indicates that the emails were sent but bounced back because of the inbox of the users being full. Either that or their email server was down. Also, if the email size is too large, you tend to face a soft bounce. A few email APIs continue delivering to those emails multiple times prior to giving up. However, in case the soft bounces are constant, the API eventually eliminates the email address from the list of your subscribers. There are a few email platforms that present you an open rate along with the number of people who opened your email. At times, users revert back and open a particular email more than once. That is mainly when a coupon is involved or a special offer is present. How would you progress if you are not updated? Hence, work on the communication since that is an initial base to flourish your business in the marketing field. Interaction with clients or partners is key and the knowledge of such jargons let you conduct business in a professional way. Hence, update your vocab and know the important marketing terms to actively contribute to a business discourse! What are the marketing concepts? It is the belief that organizations must assess the requirements of their customers primarily. Depending on and keeping those requirements as a base, companies decide to satisfy their consumers’ demands in a way that is far better than that of the competitors. In digital marketing, what are the essential keywords? In digital marketing, there are several phrases and terminology that are necessary for an entrepreneur and other stakeholders to acquaint themselves with. Let us present some of the common terms. Click-Through Rate, Cost Per Click, Cost Per Acquisition, Impressions, Organic Traffic, Conversions, etc are some phrases. What are the sales terms? The terms of sales establish the rights as well as obligations of both buyers and sellers as relevant in the transportation of stock. However, the sales terms are basically the agreement on which both seller and buyer settle. What are the benefits and advantages of social media marketing? Conducting marketing strategies via social media channels bear various benefits. You yield enhanced brand awareness, increased inbound traffic and better brand loyalty. Also, you receive higher conversion rates and more brand authority.